Meet Myne Whitman, author and publisher of A Heart To Mend, which has been described as an intriguing and emotional love story. Whitman’s story is different, she didn’t wait for that book deal from the ‘almighty’ publisher in order to achieve her goal. She went ahead and completed the journey with results to prove it works, if you stay on course long enough. In her own words, Myne Whitman and why self publishing can be fulfilling. Belinda: What inspired A Heart To Mend? 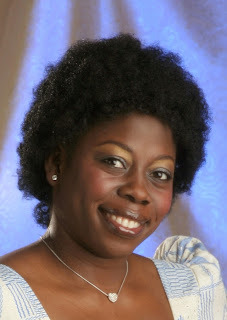 Myne Whitman: I primarily wanted to tell an engaging romantic story about a young girl set in contemporary Nigeria. In my childhood, I was inspired by romance stories where the protagonist undergoes a lot of trials and heartache but eventually comes out on top, so when writing ‘A Heart To Mend’, I wanted to include this in the storyline. Belinda: Edward and Gladys’ story serves as a lens for readers to see life as it were in Nigeria. What’s the story about life in Nigeria during the time your novel is set that you want to get across to your reader or anyone who picks up your book? Myne Whitman: Life in contemporary cities in Nigeria serves mostly as just a backdrop and it was my intention to paint as vivid a scene of this life to realise the story for the reader. However, the story is not really about getting across life in Nigeria; it’s more about exploring themes like emotional unavailability, broken hearts, revenge and love – themes which I feel are universal. Belinda: the relationship between your protagonists, Edward and Gladys, stands out because of the challenges they face and the fact that it challenges the norms of society, especially where cross-cultural relationships are concerned. Was that an element of Nigerian society and the world at large that you wanted to question and explore? Myne Whitman: Yes, it is a theme I wanted to explore because it is still a source of tension and conflict, and these are important elements of an engaging story. I do think that cross-cultural relationships will continue to be a source of drama as long as human beings feel more comfortable associating with people of the same culture and social class. Myne Whitman: I look up to almost all authors and writers because I know how much work goes into writing. I love various authors and cannot really narrow it down but the names that stick are Barbara Cartland, Francine Rivers, Sidney Sheldon, Robert Ludlum, Leon Uris, John Grisham, and Michael Critchton. And in Africa; Pacesetters, African Writers Series, Flora Nwapa, Buchi Emecheta, Cyprian Ekwensi, Chinua Achebe and more recently Chimamanda Adichie and Jude Dibia. Myne Whitman: I consider myself primarily a storyteller, but I believe very much in transporting my audience with my stories. I build a vivid picture of my characters with dialogue and description, so my readers are transported as they read. I also like to keep my writing simple, so that it doesn’t obscure the flow of the story. Belinda: It is a story that pulls at you emotionally as things fall apart for the two main characters; how important is it for you as a writer to bring these kinds of emotional facets into your work? Myne Whitman: Very important. I believe in creating characters that I can strongly identify with and feel what they feel when they are going through emotional turmoil, and be convey some of this feeling in my work where it shows through to the audience. Belinda: How challenging was it to write about Nigerian society during the period of time you have set your book? Myne Whitman: I am familiar with the period in which I set the story, so it wasn’t too difficult to write about. In addition, there is a good amount of information available in the public domain about the period. For me, the challenge was bringing the period to life for those who are not familiar with it. Belinda: Were more objective when writing because you could assume the role of an outsider since you are based in the US or was the case the reverse? Myne Whitman: I don’t think it’s possible for an author to be completely detached from the characters he or she is creating if he wants to bring them to life for his readers, so I would not say that I was completely objective. Usually, I try to put myself in the place of my characters when writing about them so that I create believable personas. So being in the US did not really make me more or less objective than I would have been writing from Nigeria. Belinda: What do you want readers to take away from the book? Myne Whitman: I don’t really write with a message in mind, but I would like them to feel that they can identify and empathise with Edward and Gladys (the two main protagonists) in the story. I would also like them to have enjoyed being caught up in the twists and turns in the story. And finally, I would like readers to feel that when two people are truly in love with each other, they will find a way to surmount the obstacles to their being together. Belinda: Why did you go down the route of self-publishing? Myne Whitman: I have been writing for a very long time, ever since I was a child and always dreamed of holding a book in my hands with my name on the cover as the author. I was discouraged earlier on when I tried to pursue a writing career after my first degree. I was rejected by a couple of the publishers we had in Nigeria in the nineties. This time, I also sent out queries to several publishers and agents but after similar letters, I decided on self publishing. Writing is now my full time career and I was confident because I heard some good stories about self-publishing and how it can be successful if you apply yourself. I want to point out that apart from the commercial success, there’s also that deep satisfaction of knowing your creative work is out there making and contributing to a conversation. A review of A Heart To men appears in the July-September Edition of the New African Woman. Do grab a copy, there are other books in our selection of book reviews to satisfy your literary taste buds. God is your straint. He is the source of your power. He is the power. He desire a relationship with you. Father and daugther. He loves you.